Senior White House adviser Jared Kushner, whose inability to obtain permanent security clearance has come under renewed scrutiny in recent weeks, requests more information from the intelligence community than any other White House employee who isn’t working on the National Security Council, according to an unnamed source who spoke with the Washington Post. Kushner continues to only have interim security clearance after 13 months in the White House, since his background check still isn’t finished, most likely because he has had to repeatedly revise his disclosure form regarding foreign contacts to add information he had previously omitted. At this point, it’s reasonable to wonder if the president’s son-in-law will ever merit permanent security clearance, yet in the meantime he enjoys access to classified briefings, top-secret and sensitive compartmentalized information, foreign leaders on behalf of the country, and, according to the Post, more requested intel than anyone who isn’t a member of Trump’s National Security Council. Despite White House assertions otherwise, none of this is normal — either how long someone as high-level as Kushner has been able to keep their temporary clearance, or how long it has taken to do the background checks across the White House, according to experts on the subject. And yes, failing to disclose foreign contacts, let alone three times, would typically jeopardize one’s chances at passing muster with the FBI. On Friday, White House chief of staff John Kelly approved an overhaul of the security clearance process following bipartisan uproar over the recent scandal with staff secretary Rob Porter. Porter resigned two weeks ago after his ex-wives came forward to say that he had abused them — allegations which the FBI uncovered during Porter’s background check and informed the White House about, yet somehow did not lead to the cancellation of his interim security clearance. 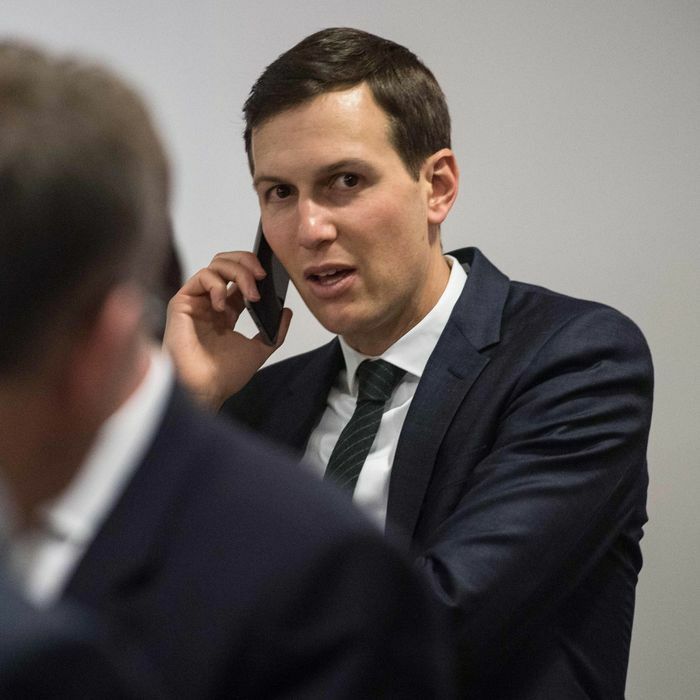 And while members of the National Security Council reportedly request more intel than Kushner, there’s reason to be worried about security clearances among that group as well. On Thursday, NBC News reported that only 10 of 24 National Security Council members listed on an internal White House document had been issued permanent security clearances as of November of last year.